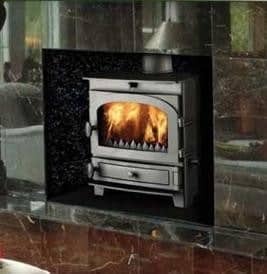 The Hunter Kestrel 5 Multi-fuel stove is a neatly proportioned and simply styled stove and a look that suits any decor. 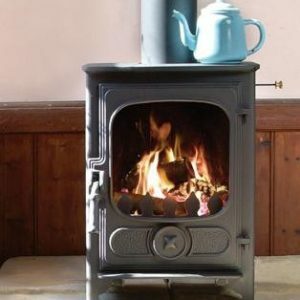 This cost-efficient stove burns at around 5kW, burning logs or other approved solid fuel. 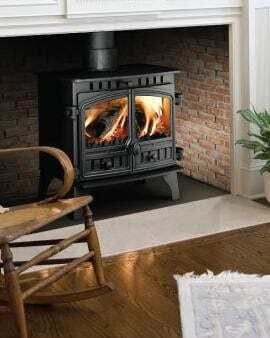 The Kestrel brings elegant warmth to the home. Neatly proportioned and simply styled for a look that suits any decor. 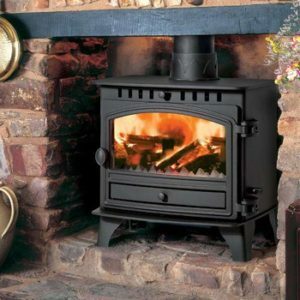 This cost-efficient stove burns at around 5kW, burning logs or other approved solid fuel. 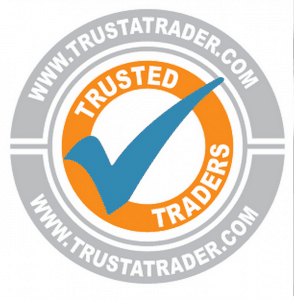 A hot airwash keeps the glass clear, and a cool-touch handle lets you riddle the grate swiftly and safely.